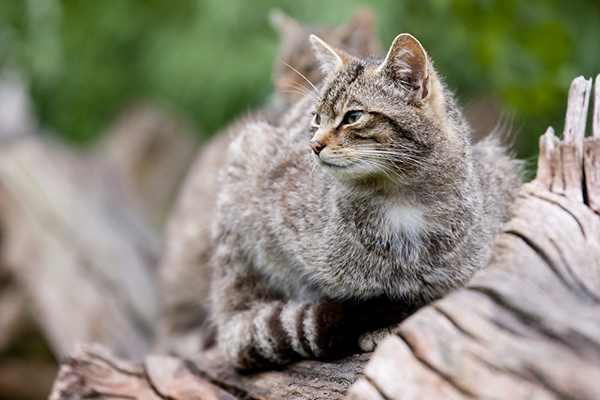 Hybridization and persecution have brought the UK's only native wildcat to the brink of extinction, but it's poised to make a comeback. Did you know that the British Isles once teemed with wild predators, including wolves, bears, lynx, and even a native wildcat? Unfortunately, human habitat encroachment and persecution rendered all but the Scottish wildcat extinct. Now the UK’s only remaining wild predator is itself on the verge of extinction. Here’s the 411 on this noble creature and efforts to conserve it. The Scottish wildcat looks like a very big and muscular domestic cat, and its thick coat gives it the ability to survive in harsh highland winters. Its jaws and face are wider and more heavyset than a typical domestic cat’s, and it has brown and black tabby fur with a distinctly ringed tail ending in a blunt black tip. Scottish wildcats typically weigh between 11 and 17 pounds, although historical sightings indicate that they can grow as large as 30 pounds. 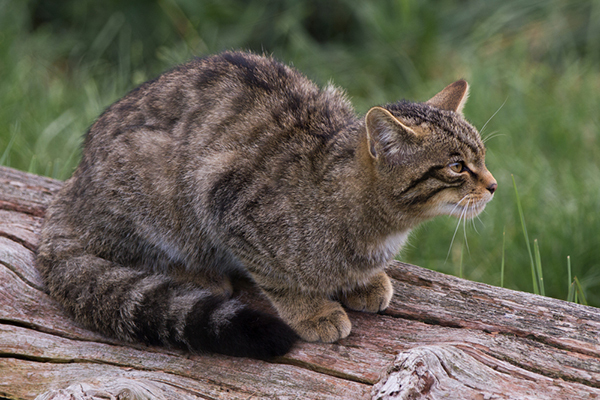 Four primary factors contribute to the Scottish wildcat’s perilous status: hybridization, deforestation, feline diseases, and human persecution. Hybridization is far and away the biggest threat: Scottish wildcats have been crossbreeding with feral and domestic cats, which has gradually diluted the Scottish wildcat’s gene pool. 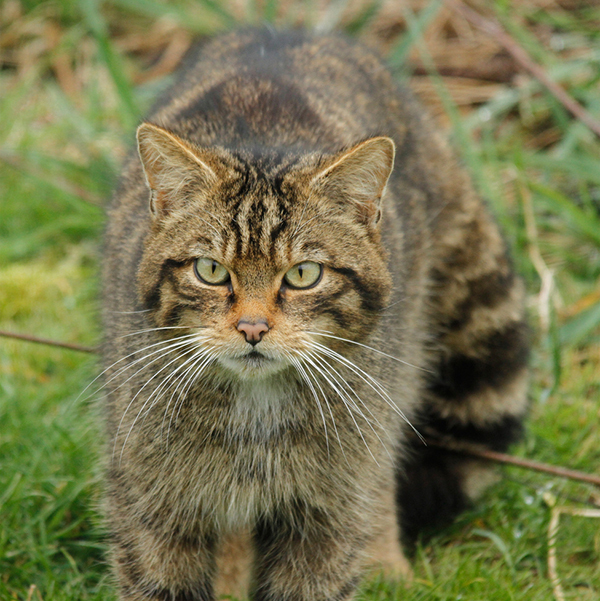 The Scottish wildcat’s interactions with domestic cats have also brought diseases to the wildcat population. Deforestation has decreased its range and habitat and led it into increasing interactions with humans and threats from motor vehicles and dogs. While the Scottish wildcat is officially a protected species, individuals do get shot or poisoned when they are mistaken for feral cats. Scottish Natural Heritage (SNH) and the Royal Zoological Society of Scotland (RZSS) have been working for a number of years on efforts to protect the Scottish wildcat, and according to those organizations, approximately 400 purebred Scottish wildcats exist today. Another group, the Scottish Wildcat Association, takes issue with the genetic testing used by those organizations and how they define a purebred Scottish wildcat. That organization argues that both SNH and RZSS are dramatically overstating the number of wildcats. According to SWA, there are actually fewer than 100 purebred Scottish wildcats. Despite their differences of opinion, all three organizations agree that the Scottish wildcat is critically endangered. In 2009, SNH began the Cairngorms Wildlife Project, an attempt to study and protect the Scottish wildcat in the Cairngorms National Forest, where a number of wildcats have been sighted. 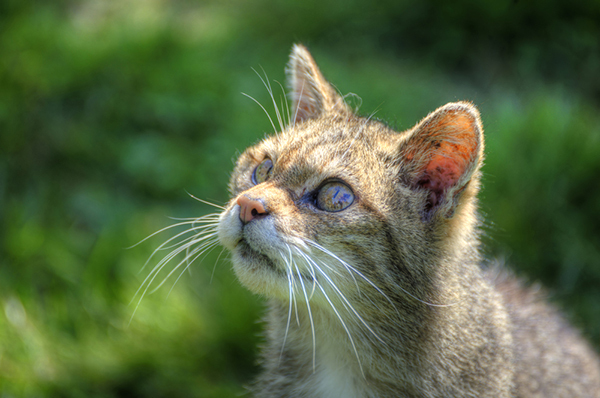 SNH and RZSS launched the Scottish Wildcat Conservation Action Program in 2013. 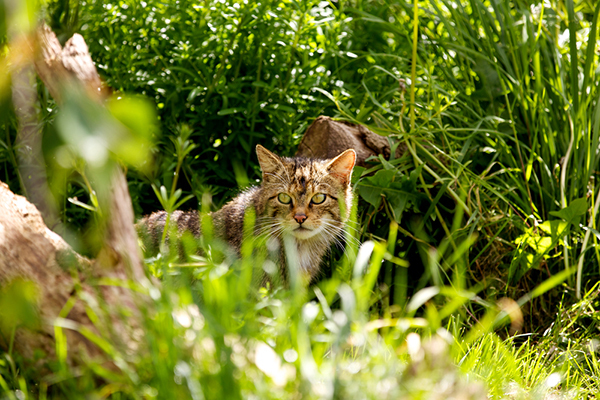 The organizations have initiated a large scale trap-neuter-return program for feral cats, promoted responsible cat ownership, and raised awareness of the Scottish wildcat’s plight in order to solicit support from the Scottish public and encourage people to report possible sightings. 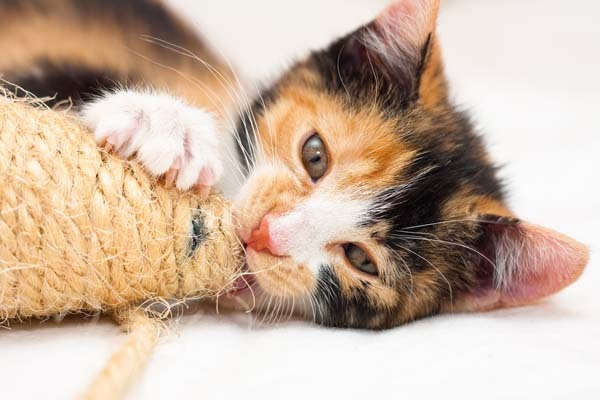 Those groups also continue to do genetic testing and attempt to raise the cat’s population by providing it with an increasing number of protected habitats. The Scottish Wildcat Association set up Wildcat Haven on 250 square miles of land in remote western Scotland, where it undertook its own trap-neuter-return project. According to its research, it has succeeded in vaccinating and neutering all feral and domestic cats and wildcat hybrids in the area. The organization also launched an education program in local schools to help children appreciate the UK’s only native wildcat. 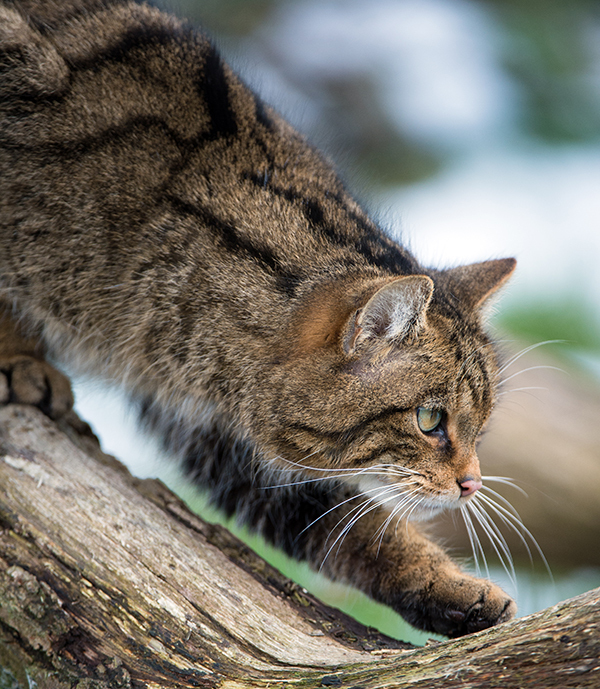 Scottish Natural Heritage, the Royal Zoological Society of Scotland, and the Scottish Wildcat Association have put tremendous effort into studying the Scottish wildcat, increasing its habitat and protecting it from threats to its survival. Although the organizations disagree on exactly what defines a purebred Scottish wildcat, it’s clear that all three groups are working hard to save the species. What’s not clear at this point is if there are enough Scottish wildcats to sustain or grow a viable breeding population. Only time will tell. 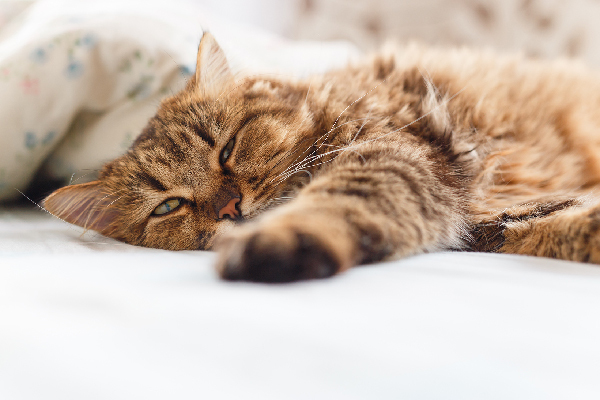 Do You Agree That Bengal Cats Should Be Banned? 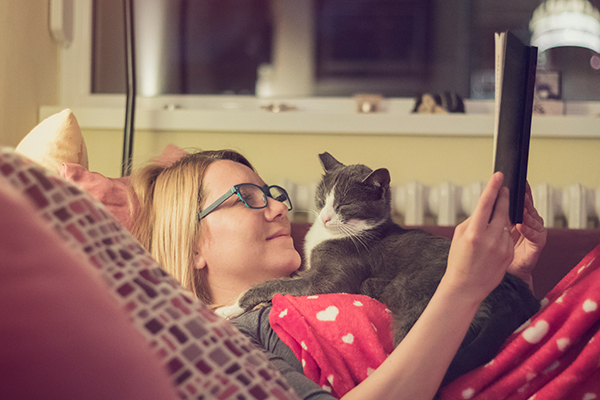 About JaneA Kelley: Punk-rock cat mom, science nerd, animal shelter volunteer and all-around geek with a passion for bad puns, intelligent conversation, and role-play adventure games. 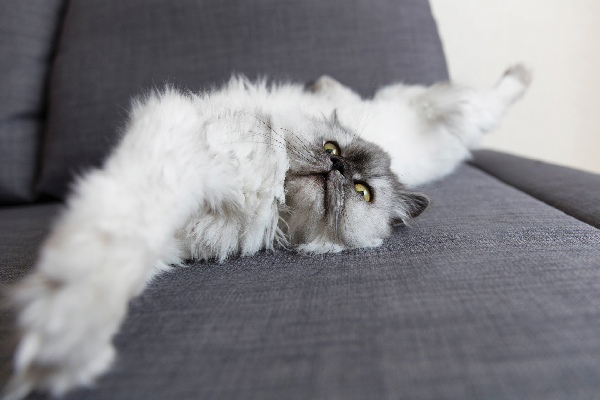 She gratefully and gracefully accepts her status as chief cat slave for her family of feline bloggers, who have been writing their award-winning cat advice blog, Paws and Effect, since 2003.